Ciprofloxacin HCl is one of a group of medicines called quinolone antibiotics. It works by killing the germs which have caused the infection in the eye. For the treatment of the following infections when known or suspected to be caused by Ciprofloxacin-susceptible bacteria. Consideration should be given to official guidance on the appropriate use of antibacterial agents. • Corneal ulcers: 1.25 cm ointment ribbon applied into the conjunctival sac every 1-2 hours around the clock for two days, then every 4 hours for a further 12 days. The dosing may be extended at the discretion of the physician. • Bacterial conjunctivitis (and blepharitis): 1.25 cm ointment ribbon applied into the conjunctival sac (or on the lid margin, respectively) three times daily for two days, then twice daily for a further five days. The dosing may be extended at the discretion of the physician. Do not touch tube tip to any surface, as this may contaminate the contents. Clinical studies have indicated dosage modifications are not required for the elderly. Safety and effectiveness of Ciprofloxacin 3mg/g Eye Ointment were determined in 192 children between the ages of one to 12 years. No serious adverse event was reported in these patients. These clinical studies have indicated that dosage modifications are not required for children. •Ciprofloxacin ointment may cause blurred vision or sensitivity to light. Use ciprofloxacin ointment with caution. Do not drive or perform other possibly unsafe tasks until you know how you react to it. •Do not use leftover medicine for treating other infections or conditions without checking with your doctor. •Be sure to use ciprofloxacin ointment for the full course of treatment. If you do not, the medicine may not clear up your infection completely. The bacteria could also become less sensitive to this or other medicines. This could make the infection harder to treat in the future. 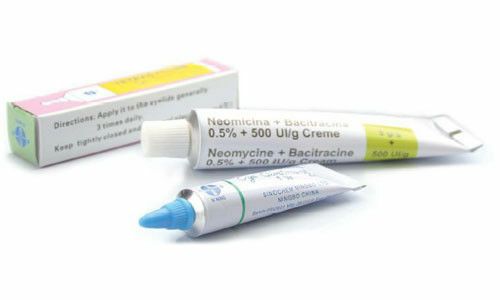 •Long-term or repeated use of ciprofloxacin ointment may cause a second infection. Tell your doctor if signs of a second infection occur. Your medicine may need to be changed to treat this. •Ciprofloxacin ointment should be used with extreme caution in CHILDREN younger than 2 years old; safety and effectiveness in these children have not been confirmed. •PREGNANCY and BREAST-FEEDING: If you become pregnant, contact your doctor. You will need to discuss the benefits and risks of using ciprofloxacin ointment while you are pregnant. It is not known if this medicine is found in breast milk after topical use. If you are or will be breast-feeding while you use ciprofloxacin ointment, check with your doctor. Discuss any possible risks to your baby. Bloodshot eyes; blurred vision; burning or discomfort; crusting of eyelids; dry eyes; feeling of something in the eye; sensitivity to light. Severe allergic reactions (rash; hives; itching; difficulty breathing; tightness in the chest; swelling of the mouth, face, lips, or tongue); eyelid swelling; irritation; vision changes. China Good Quality Aerosol Medication Supplier. Copyright © 2016 - 2019 newlystar-medtech.com. All Rights Reserved.